All around the world, companies have embraced the use of IT security solutions. 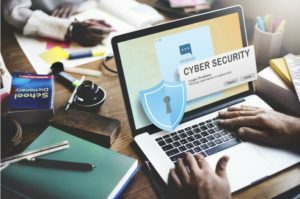 IT specialists keep insisting on the need for embracing these solutions, as there has been an increase in the cyber security challenges which affect modern organisations. Some of these challenges include viruses, unauthorised access, hacking and several other malware. Here is a comprehensive discussion on the importance of adopting these solutions. Your IT operations and business at large are safe from any internal or external threats as a result of stronger protection and a secure network. Recent research shows that most companies which have integrated IT in their management have sought the services of an IT security expert or are planning to engage one shortly. Once you engage an external IT security provider, they take care of your IT infrastructure by setting up a cutting-edge technology within your firm. The newly improved protection and increased efficiency will give precise and positive results. The most progressive firms and businesses are significantly embracing managed services for their IT security solutions. Apart from IT security providers offering improved security, they also provide their skill and economies of scale that results in a decrease in operating costs in the long run. The availability of the most excellent technology, skilled personnel, cost and time saved on staffing makes the total costs lower in the long term. Adoption of IT security methods has made organisations get the maximum value from their IT investment, take care of technical matters and find solutions for problems more economically. In the modern IT world, many threats include client data theft, viruses, and hacking which necessitates the need for experienced IT professionals offering the best solutions for these threats. Involving these experts in your IT security management enables your company benefits from their industry-wide expertise and the most modern solutions. With this type of security experience in your company, your firm’s protection against IT challenges will be very high. IT security providers abide by the regulatory requirements which are industry related requirements and legal needs. Companies can result in outsourcing security services instead of being involved in the complete management of their security, then focus on other core objectives. In simple terms, the IT service provider is accountable for your IT systems in addition to complying with legal and authority requirements. With an IT security provider looking into your cyber security, you can have enough time to focus on your core objectives for your business. Today’s market is dynamic and is marked by a lot of competition hence there is a need for focusing a lot of time on core businesses and delegating the non-core ones like IT security management. Engaging a security service provider allows you to get specialised support from them. Besides, you also get more time to focus on your customer base and grow your business. Your IT security expert will deal with monitoring and manage all the technicalities associated with your IT system.